A few weeks ago, Vietnamese international student and Student Activities Board member Anh Tran stood alone in dissenting against three of five propositions at the Board’s weekly meeting; this was a big deal. It wasn’t so much what Anh had to say, but that after three years at Truman the act of speaking up made her aware of the tremendous progress she has made in overcoming her fear of public speaking in the U.S. For Anh, communicating in a public setting was not just about a natural fear of public speaking. She was also dealing with the issue of communicating effectively in English, her second language. For Anh, taking on the role of an active member of the SAB and openly expressing her opinion was acknowledgement of how far she has come. English is considered one of the most difficult languages to learn. International students all over the world face this reality every day. 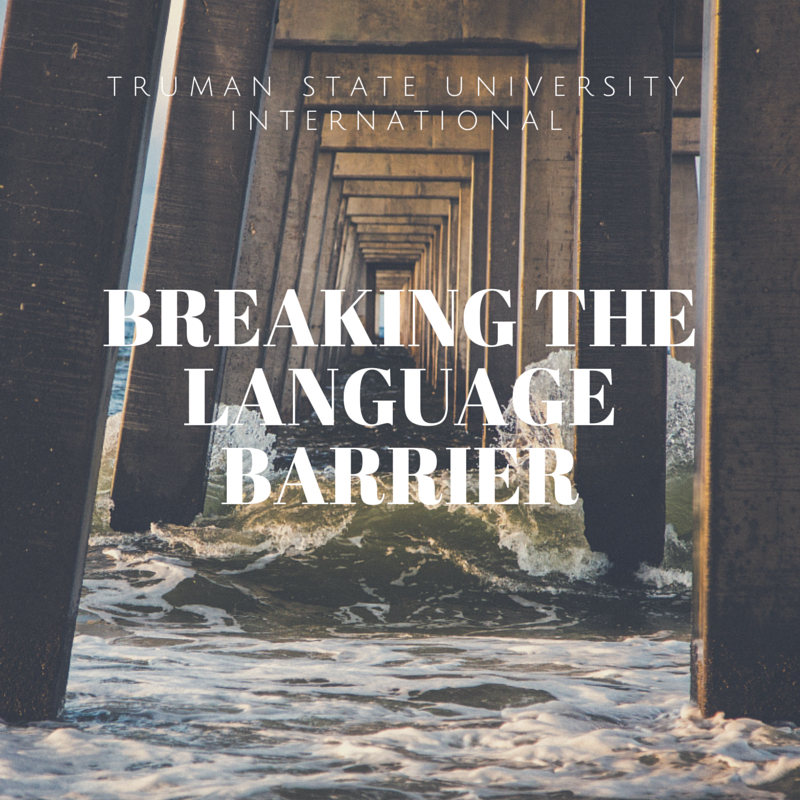 Not only can this make the American university classroom a scary place, but the language barrier can profoundly impact the way that international students feel they can interact with Americans. From our conversations with international students, it’s clear that many feel insecure about their ability to communicate effectively in English. They fear negative judgment from their American peers, so they shy away from expressing their opinions openly. We have also had the chance to speak to several other highly successful international students like Anh Tran. The message to international students was clear: You are your biggest enemy when it comes to the language barrier. For Anh Tran, the first step was to accept that in order to overcome the language barrier, it was necessary to adopt a certain mindset of “I can and I will.” She noticed that successful international students acknowledged their circumstances, and simply ignored the language barrier. From there, Anh was able to intentionally put herself in situations where she had to speak out and speak publicly. She joined the Student Activities Board (SAB), an organization tasked with the challenge of planning all the major entertainment events on campus. 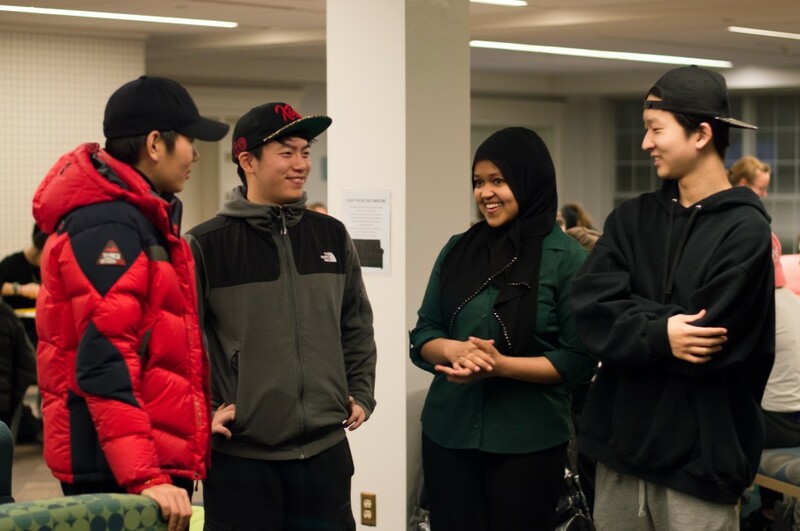 Her involvement in the organization forced her to connect with more American students, which not only improved her ability to articulate her thoughts in English, but extended the diversity of her social circle. Like Anh Tran, Korean student JD Lee “put himself out there” and joined the Delta Sigma Pi co-ed business fraternity. In our interview, JD shared with us the initial difficulty; he was unable to understand what was being discussed during weekly meetings. JD reached out to one of the executive board members in the organization to explain his difficulties. The executive offered to construct simplified notes with JD to make sure he knew what was going on. From this experience, JD learned to “be honest and just ask” when you’re confused. To JD, letting people know when you don’t understand something is a sign of respect for the person with whom you are speaking and yourself. Compared to Anh Tran, JD’s strategy involved a more studious approach. He intentionally began watching English television shows and studied high school vocabulary in his spare time. Vietnamese student Ly Dong also experienced difficulties communicating during her first year in America. According to Ly, this shyness came from a difficulty in understanding what others were saying, and having been often asked to repeat herself during conversations. Ly made it a point to join a service organization Alpha Phi Omega and to participate in student government. Gradually, Ly was able to establish strong relationships with her peers. Their patience allowed Ly to become more confident in her speech, which allowed her to excel as a student leader. This year, Ly was accepted for a position as a Student Advisor, an extremely competitive job in the residence halls. Although these students seem to have slightly different experiences, one thing stands out in each of their stories. Each student was able to find a support network that allowed them to thrive both socially and academically. In other words, these students were able to find more than just language assistance, they were able to establish lasting and meaningful relationships. Truman is home to many such communities. With over 200 organizations, there are communities for everyone to join.